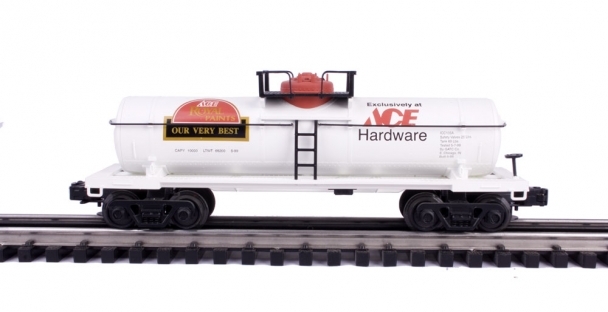 The Ace tank car is unusual in the Industrial Rail line up becuase it was given a special stock number, IDM ACE-99, while all other tank cars were numberd within the 6000 series. 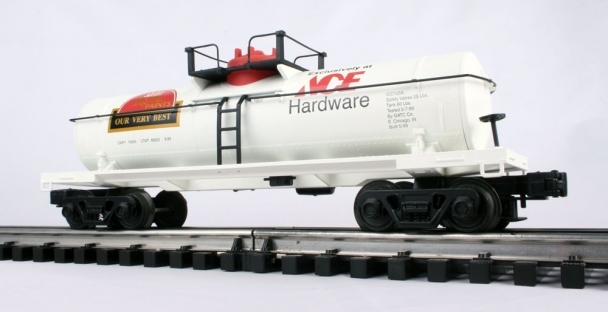 This unusual stock number is more in line with custom production runs such as the Napa Valley IDM4226 and HobbyTownUSA HTUSA98. 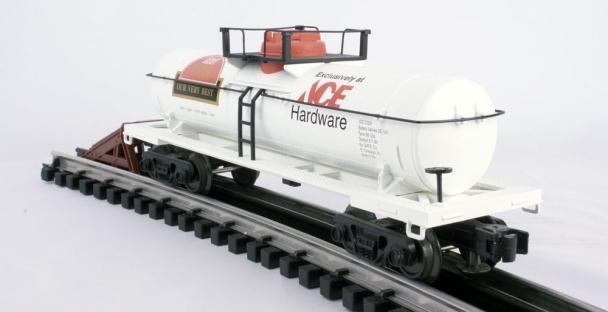 Despite its unusual stock number, the ACE car was catologed on the Industrial Rail website along with the 6000 series tank cars. 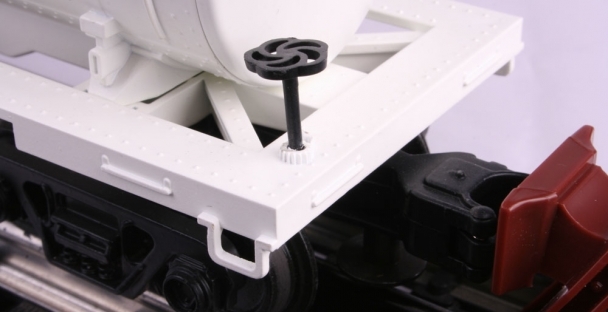 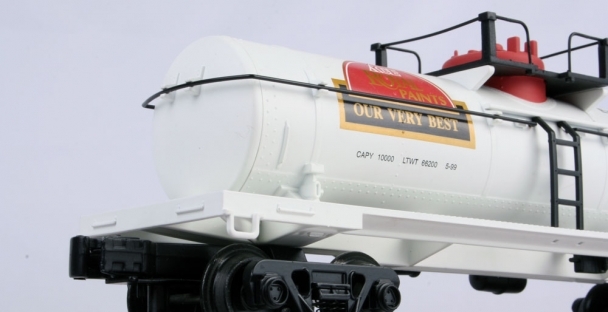 There is no prototype for the Ace tank car produced by Industrial Rail. 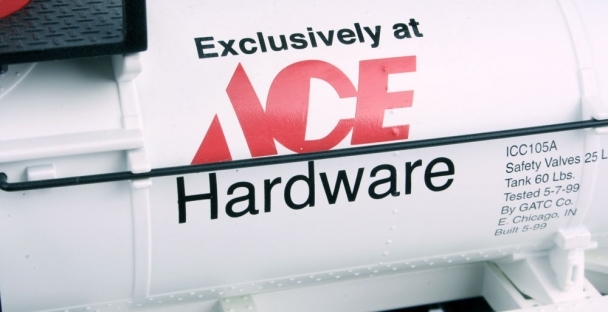 Since 1984, Ace Hardware has manufactured their own line of paints at their Chicago, Illinois plant. 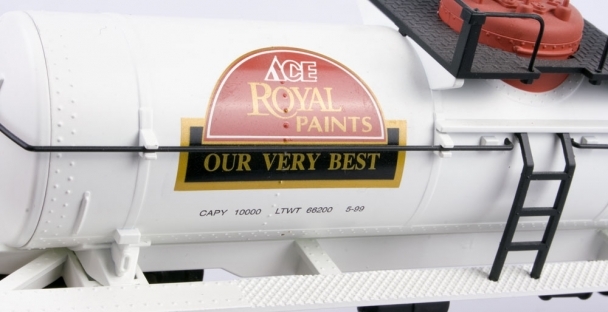 Royal Paint is the Ace Hardware's premium acrylic exterior paint.